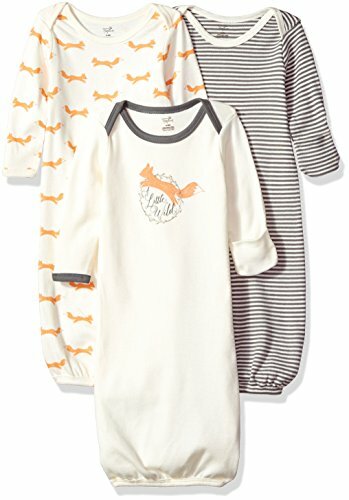 Touched by Nature 3 pack organic cotton gowns are a great night time and nap time solution for your little one. With an elastic bottom, you can dress and change diaper with ease. These gowns can be worn with other pajamas for extra warmth or just a diaper for warm nights. These gowns also have a stretchable neck opening to go over baby's head without fuss. Fits most babies 0-6 months.